Talk about a statement piece! Traveling to cold-weather cities soon? This is the one style staple you’ll need to look of-the-moment, wherever you’re headed. When the weather lets you layer, take advantage of it. Always acing her travel OOTDs, Alex Gonzaga went for a monochrome look that’s L.A.-approved. When in Paris, it’s simply impossible not to dress up! 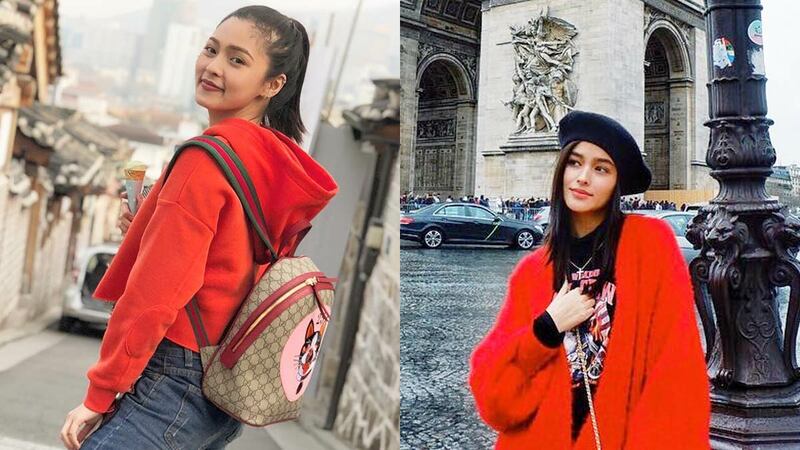 Liza Soberano went for a full-on Parisian look that’s fit for strutting around the streets of the fashion capital. Gretchen Ho likes to keep it simple. On her trip to Melbourne, she wore a low-key ensemble that’s made for walking and touring and added a red jacket for a pop of color. Take it from Heart Evangelista who can do no wrong, fashion-wise. Remember this iconic look she wore at Paris Fashion Week? The pairing of prints and textures is très chic! Oversized hoodie? Check. Little backpack? Check. Kim Chiu is a pro at nailing the *kyeopta* Asian look and it’s definitely fit for traveling around Korean villages.